Buy online our clothing and fashion fabric Jacquard Astratto 001-01. Jacquard fabric mixed cotton and silk with multicoloured stripes pattern and gold-coloured lurex details. Suitable for dress, jacket, duster. 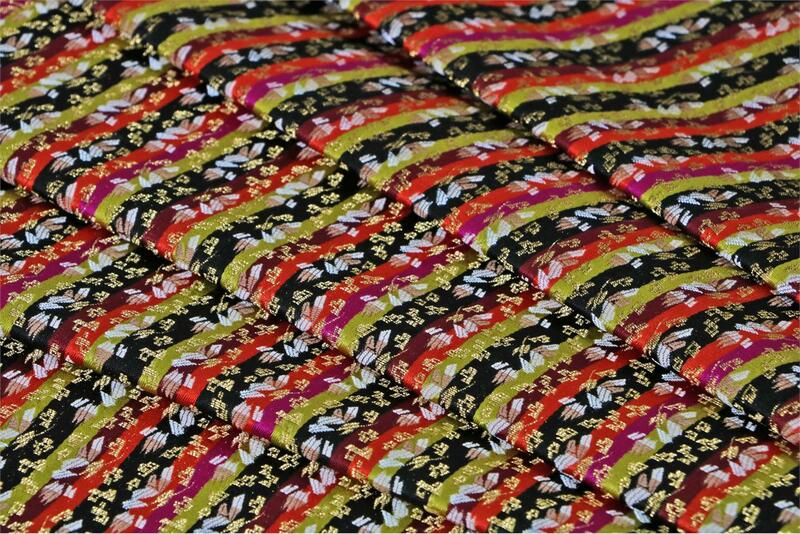 Multicolor Mixed Flowers Jacquard fabric for Dress, Jacket, Light Coat.